Welcome to part 4 of my AngularJS tutorial. If you haven’t seen the other videos watch them first. 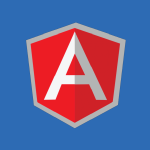 This time we’ll look at AngularJS services. I’ll create custom services as well as cover built in services like $window, $document, $location, $interval, $log, $exceptionHandler, $watch, $compile, and I’ll use $http to pull in data from a language translation web service. My translation web service was built in this tutorial. If you like videos like this consider supporting me on Patreon. /* Services are objects that bundle together methods that serve a specific function. Angular provides many built in services, but it is also easy for us to make our own custom services.